From 1965 to yesterday, the definition of IT has really been "to automate the knowledge worker tasks of days gone by." It's never really been "to enable the intellectual power of all those who have come before, and all those who are about to join us." At the beginning of WWI, battlefield tactics had not advanced much since the U.S. Civil War. The general goal was to continually advance on the enemy with waves of infantry attacks and eventually break through the lines by overwhelming enemy defenses. A few of today's releases (and some I missed!) for LegalTech 2012. Believe it or not, the best is (still) "yet to come." ...Think bigger! Is Data Center Networking Discontinuity Driving Increased Network Budgets and Network Headcount? As organizations continue to consolidate data centers and increase their use of server virtualization technology, IT departments are forced to respond by building out massively scalable data center network environments. However, are data center networks evolving fast enough to survive (in current form) in a rapidly changing world? Jon Oltsik called this problem data-center-networking-discontinuity/index.html">Data Center Network Discontinuity and data from the forthcoming ESG's 2012 IT Spending Intentions survey (which I've gotten a preview of) indicates that we may be starting to see the first signs of this occurring. Will Amazon's Latest Move Thrill or Kill the Cloud Storage Gateway Market? The big question of the day is whether the AWS announcement of a cloud storage gateway (one of the worst kept secrets in tech) will validate or kill the existing gateway market. And that's a good question. For now it is a great validation that users are looking for a standards-based way to access the cloud for certain use cases. And we do see storage services adoption ramping up. In our 2012 spending intentions survey (coming soon, but I got a preview of the data that will be included), 51% of the respondents said they are using or plan to use Infrastructure as a Service (that is up from the 35% of respondents using or planning to use IaaS in last year's survey). Of the IaaS users, the biggest use case response is cloud storage (57%). Today we examine the terrain for enterprise e-discovery and information governance releases going into LegalTech 2012. My previous posts covered the ../../../../../legaltech-2012-pre-game-service-providers/index.html">e-discovery service provider landscape and ../../../../../legaltech-2012-pre-game-attorney-review-tools/index.html">attorney review software and SaaS. Check back for show-time updates when more announcements go public Monday. IBM and NEC announced this week that the two companies will work together to offer networking solutions based upon SDN and OpenFlow. IBM provides the switches which are integrated with the NEC Programmable Flow Controller. Mozy has announced the public beta of its new Stash offering. The public beta is available to existing Mozy Backup customers, as an add-on capability that takes advantage of customers' existing accounts, subscribed storage capacity, etc. In other words, it's a great example of the convergence between backup-as-a-service (BaaS) and Online-File-Storage (OLFS). Previously in our LegalTech 2012 countdown, legaltech-2012-pre-game-service-providers/index.html">we covered the e-discovery Service Provider landscape. Today we look at what's likely to be top of mind at LegalTech 2012 in attorney review software and SaaS - based on trends from 2011, and the releases we can talk about so far. When I was at Lotusphere 2012 last week I heard a similar refrain from vendors, service providers, and IT professional alike--"I can't make an ROI argument for the social enterprise that sticks." There were countless discussions about the "soft ROI" of social enterprise tools. This was not something said in hushed tones in private either. It was said from the main stage at keynotes. The complaining was equally strong from the IT community trying to justify something that they already know works and has benefits. The could see the advantages of social enterprise tools in their organizations and imagine more but are hamstrung by a reliance of upper management on a particular way of evaluating IT purchases. The countdown to LegalTech is on. This week, I'll review some major recent developments in software and services for the enterprise and legal sector, plus trends to watch out for at the conference, starting today with service providers. I'll be able to write about more releases once they're announced at show-time, so check back for our wrap up. As part of our annual IT Spending Intentions survey, ESG asks IT professionals about overall spending trends for the coming year. Our 2012 IT Spending Intentions survey is set to be published soon, and I got a peak at the data recently. Like other analyst firms, ESG found that IT budgets will increase in 2012, albeit at a modest rate. How Big Are Those Databases, Really? ESG Research publishes Reference Research briefs for our subscription clients that include a data-centric perspective on certain aspects of the market. 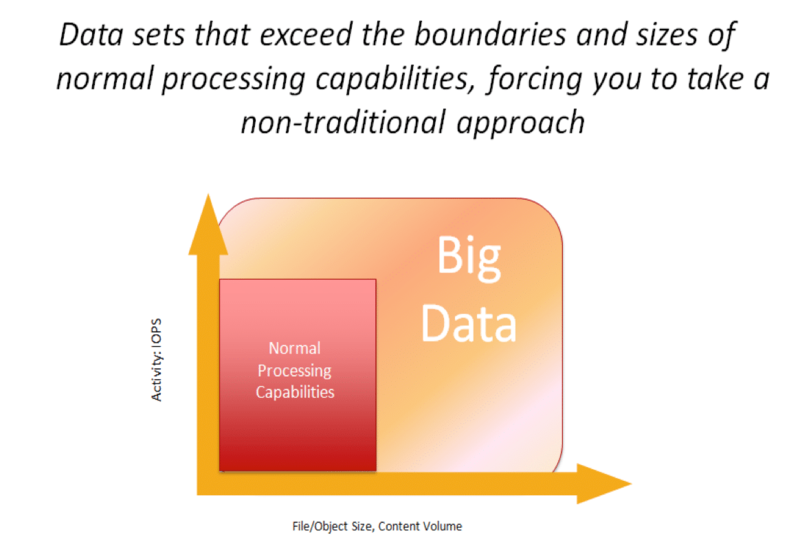 In the case of data management, we were in search of a number for big data - how big is big when it comes to databases? Many who support their enterprise data warehouses already believe they have big data - they just call them VLDBs (very large databases). We wanted to quantify how many production databases organizations have deployed and the total amount of data stored in those databases. I spent yesterday at the NE VMUG at Gillette Stadium. In short, while it had flaws, it was awesome. I've been to well over 8 million of these types of shows. This is my unabashed favorite of all time. ESG had the opportunity to share the information from our recent ESG Market Landscape Report, Virtual Computing Infrastructures: The Movement Towards Integrated Computing: The Foundations for Cloud at the 2012 New England VMUG Winter Warmer. We intercepted a giant wave of questions and had some fantastic conversations with the attendees. Yesterday, VMUG held its annual New England Winter Warmer conference at the New England Patriots' home turf, Gillette Stadium. While we (Mark Bowker, myself, and the ESG rock star event team) were chatting about Virtualization Computing Infrastructures in the Putnam Club, the football team was on the field getting ready for its upcoming playoff game. Looking out onto the field and the stadium, I was compelled to use Gillette Stadium and its 68,756 seating capacity as my platform for our Big Data Demystified breakout session. While the venue was not large, the topic was all Big. Cold data anyone? With so much talk of managing 'hot' data, I felt this might at least catch your eye. As it happens I'm not talking about the activity level for a given piece of information, but I am actually talking about temperature....and, no, not the temperature in the data center aisles but the temperature at which some scientists have been storing data. Enough with the riddles - I was very taken by the recent news that IBM Research scientists at Almaden had demonstrated an ability to store a bit of information in as little as 12 atoms. Data protection processes and technologies are vital to ensuring an organization's operational, regulatory, and financial health. As a result, data protection infrastructure is included in every IT budget and is top of mind for data center staff. However, due to the complexity and often high cost of backup, restore, and disaster recovery, many organizations are willing to invest in methods and solutions that can save time, reduce costs, and simplify management. 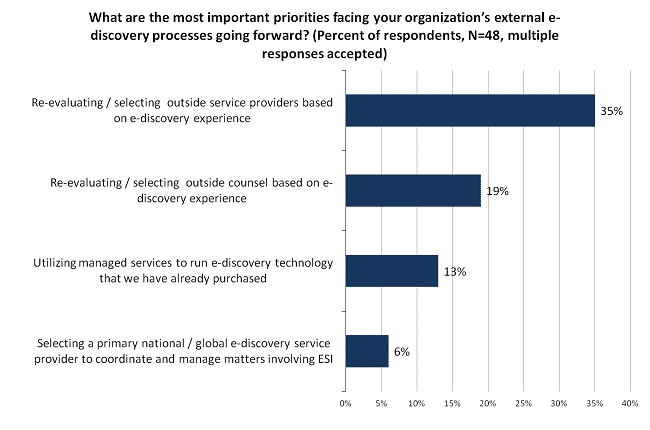 Like other analyst firms, ESG conducts research on IT Spending Intentions annually. The latest 2012 report will be published soon, but in the meantime, I've taken a look at the data that will be included. One of the things we track is IT hiring plans in all areas including IT security. Greetings from IBM Lotusphere and IBM Connect 2012. Conferences such as this one are great for getting the total picture of a market. The problem with the social enterprise picture is that it is so vast and expansive that it can be confusing and overwhelming. It's a bit like when you were a child and your parents took you to a toy store. There, arrayed right in front of you, were so many good things that you didn't know where to look first. What is clear from Lotusphere is that social enterprise is like that. It encompasses so many elements that it can be hard to decide where to start. Social portal? Integrated social communications? A rich directory experience or video collaboration? Is it best to start with socially enabled applications? It's mind boggling. Data center consolidation and server virtualization are creating data centers of massive scale, and thus radically changing the data center environment. Unfortunately, legacy data center networking equipment was not designed for this type of scale and dynamic use case. ESG calls this state data center networking discontinuity. Tuesday, January 17 -- Microsoft held a webcast on their Private Cloud offerings and announced the Release Candidate of their System Center 2012 management tools. Think of the transformation in the data analytics market in the last 12-18 months--especially when the data set we are talking about is big, really big. If you were remotely responsible for business intelligence or data warehousing, now all of a sudden, you may be considering changing your title to data architect or even better, data scientist, to market that skill that every enterprise is coveting. In the forthcoming ESG 2012 IT Spending Intentions Survey, which I was recently able to preview, one of the areas that stood out was the social enterprise spending. For the third year in a row, IT professionals have expressed plans to spend a significant part of their budgets on process improvement, collaboration, and social networking technology. The latter two were showing increases in spending for the third year in a row. Clearly, business is embracing the social enterprise. Last week Boston area startup AutoVirt failed. They failed not because their stuff didn't work (it worked quite well). They failed not because there was not a legitimate need (people need to do data migrations between systems/storage). Yesterday, Oracle announced the availability of its Big Data Appliance and its new partnership with Cloudera. Why did dinosaurs become extinct? I'm no paleontologist but allow me to provide an over-simplified explanation: When the environment went through radical alterations, dinosaurs couldn't adequately adapt to these changes. In a binary, "adapt or die" world, the dinosaurs died. For a number of years ESG has been conducting an annual IT spending survey to better understand users' buying intentions for the coming year. The ESG research team is busy putting the final touches on the 2012 IT Spending Intentions Survey, which should be ready at the end of January, but I've taken a look at some of the data that I can share with you now. In addition to determining whether organizations will be spending more or less, and on what technologies, the report also explores how organizations justify their IT purchases to the business. As one might expect, these considerations could change dramatically based on the macro-economic environment. It is true that IT shops will continue to grapple with assimilating legacy applications and systems within their virtual computing infrastructures. However, I got a sneak preview of the 2012 IT Spending Intentions data from the ESG Research team, which indicates that IT organizations will focus future hardware purchases on integrated computing platforms. 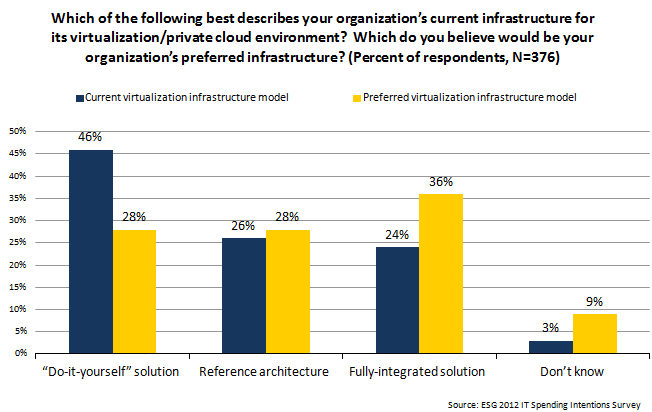 ESG asked IT organizations their current and preferred virtualization infrastructure model and unveiled a key evolution that is taking place. DIY is currently the predominant deployment model with 46% of respondents indicating that it is their current virtualization infrastructure model, but the interest in integrated solutions is on the rise as IT vendors build awareness and business learn the potential benefits. ESG Lab recently completed testing of the EMC ProSphere. I love this data, which comes from ESG's 2012 IT spending intentions survey (we've been doing this for years, so we have some excellent tracking data). This survey covers North America, Western Europe, and the Asia Pacific region. 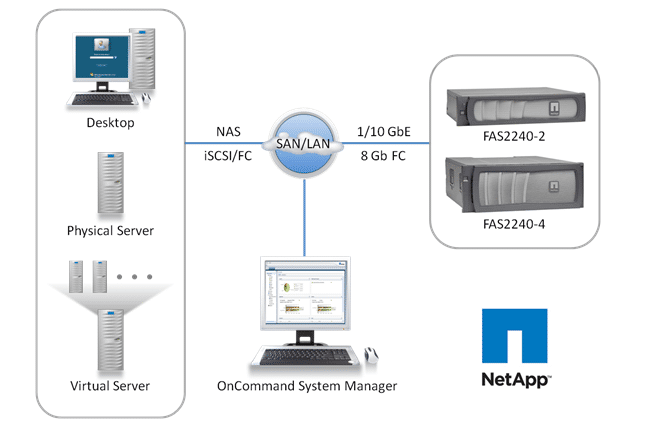 ESG Lab recently completed testing of the NetApp FAS2240. 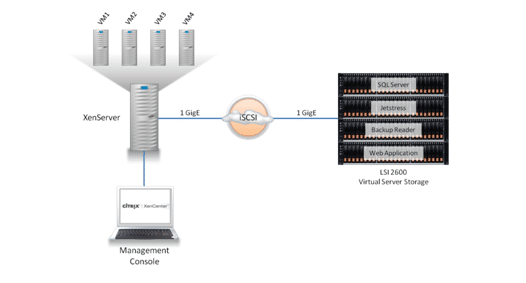 ESG Lab recently completed testing of the Citrix XenServer 6.0. 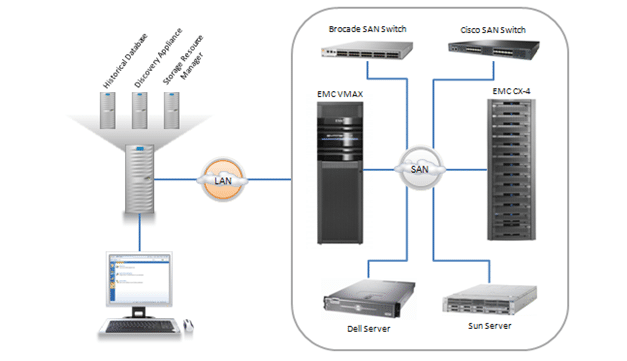 Got enough WAN for your Virtual Desktop implementation? For quite some time virtual desktops have been growing in popularity, first as a means to effectively deliver desktops for call centers, support desks, etc., and now it has become an increasingly popular strategy for dealing with an ever growing "bring your own device to work" problem. That is, how does your IT staff support the wide range of different devices - PCs, Macs, tablets, and smartphones from multiple different vendors - that are infiltrating the workplace? The answer is - you don't. I just wrote this article for Info Week about Big Data, where outside of stealing the concepts from Julie Lockner, we redefine this absurdly ill defined term. I've written many blogs about the recently-published ESG Research Report, U.S. Advanced Persistent Threat Analysis, but there is a lot of data I haven't detailed. Since I can talk faster than I can type, ESG just posted this video that highlights the report data and some of its most important implications. "All we can afford is tape." Anyone with an IT career is always keeping a watchful eye on the hottest technology and looking for ways to enroll in training and advance their career. I did this successfully years ago with Microsoft certification and have witnessed many IT professionals build a stable career by growing their knowledge and subject matter expertise on the latest hot IT topic or trend. Now is a good opportunity for IT professionals to switch into high gear and understand the potential advancements they can make with cloud computing initiatives. Many companies are feeling the pressure to adopt and architect cloud into their IT strategies but lack the IT leadership and internal skill set to make cloud computing a success. I recently read an article in Forbes, How Cloud Computing is Changing Many Job Descriptions, and it further verifies how IT needs to adapt to new consumption models and develop the IT skills that match. This is a good note for IT vendors to take as they innovate solutions and heavily market "The Cloud." IT vendors that can help develop new IT skill sets, create new positions and advance careers have a significant opportunity ahead in this new computing era. According to ESG Research, 20% of large organizations are certain that they've been the target of an APT attack while another 39% say that it is likely they have been targeted. Can organizations detect and react to sophisticated attacks like APTs?